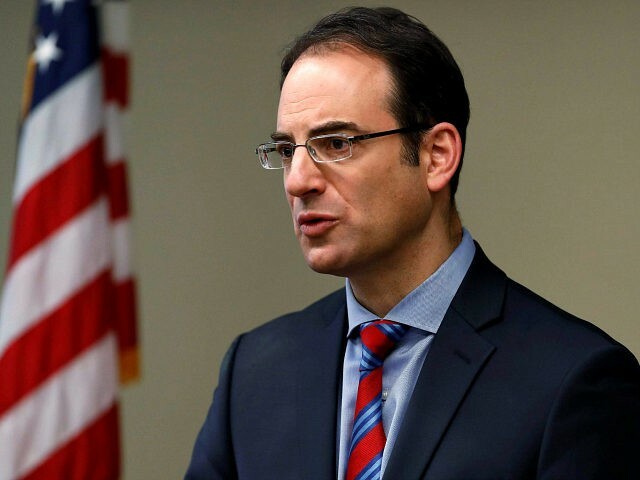 Colorado Attorney General, Phil Weiser (Socialist-D) said sheriffs who refuse to enforce gun confiscation laws “should resign” their posts. Democrat lawmakers are pushing a red flag law that will allow a court to issue confiscatory order empowering police to go to a gun owner’s home and take away his firearms. As of March 12, 2019, ten Colorado counties had declared themselves “Second Amendment Sanctuaries” to signal that they would support their sheriffs in refusing to enforce the confiscation law. Weiser said he expects the law to be challenged in court, where he believes it will be upheld. Once upheld, he said sheriffs will be obligated to enforce it. This entry was posted in gun control and tagged Colorado, Gun Control, Sheriff on March 21, 2019 by Bone Fish.